The web can be a powerful shopping tool, helping consumers quickly identify the best retailer to buy from. Thanks to services like Google Shopping and other price comparison sites, it’s easy to search for a product and find a list of suppliers. All things being equal, your order would probably go to the cheapest supplier with stock. The tricky bit, however, is making sure all things are indeed equal. There are several things you need to watch out for when weighing up potential suppliers online, to ensure you’re comparing like for like, and that you really are getting the best bang for your buck. Here’s our list of the top 9 potential pitfalls of online shopping. 1. The price is right, right? Often, the first price you see isn’t the price you end up paying. Sometimes online retailers advertise prices with VAT excluded offsite, meaning that when you click through to their actual website, you’re greeted with an unpleasant and unexpected 20% increase in price. Others make it hard to tell whether a price includes or excludes VAT, meaning you have to add it to your basket to discover its true cost. 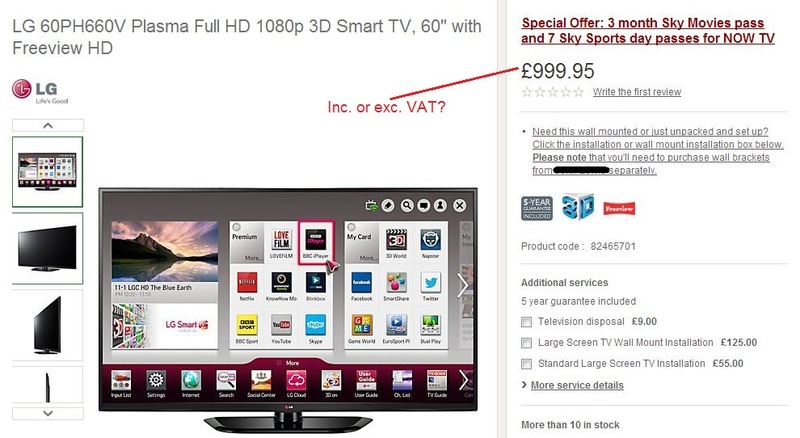 What’s more, Google Shopping often makes matters even more complicated by mixing prices that include and exclude VAT in its listings, meaning that a product that seems cheap in Google Shopping might not be such a good deal when you get to the site. Overseas retailers regularly tout their wares in the UK, often through services like Google Shopping. At first glance, they appear no different to any other UK retailer, but click through to their product page and you will be looking at a price converted to Euros or Dollars. Also, when buying from an overseas retailer, bear in mind the fact that it’s pretty much guaranteed to come with a hefty delivery charge, not to mention the additional delivery time, potential customs taxes and warranty headaches. The most common hidden charge is delivery, but you also need to be on the lookout for things like credit/debit card transaction surcharges. Information about hidden extras like delivery charges should be prominently displayed, but this is so often not the case. This product page mentions delivery dates, but doesn’t make delivery charges clear. 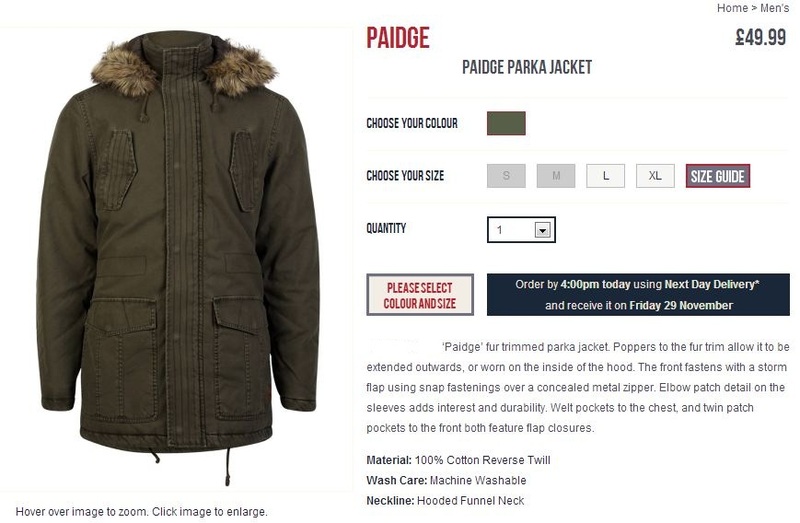 Sometimes it can be extremely difficult to tell the difference between a retailer that actually holds stock in its own warehouse, and a website that is purely a shop front. For example, many online retailers’ product pages give no indication of stock levels whatsoever. 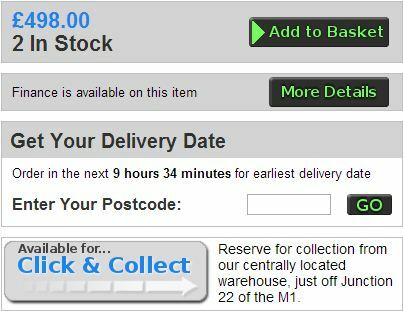 This retailer suggests that the item is available for delivery, but nowhere do they explicitly state current stock levels. Other retailers use phrases like ‘available for delivery’ and ‘special order’, which suggest the availability of an item without explicitly stating that they hold units in stock. Not very clear really, is it? This retailer claims that the product is ‘normally available from stock’, but gives no indication of current stock levels. Even when retailers explicitly state the goods are in stock, if they don’t also state a quantity this can cause a host of potential issues. For instance, is their stock information completely accurate? What if you want to buy more than one, do they have enough stock? What if there’s only one item remaining and someone else gets there before you? I would be dubious about any website that doesn’t make it crystal clear how many units they have available and whether those units are physically in stock, ready to ship. This is particularly important at the moment, as many ecommerce websites are being set up to sell third-party stock and some are less scrupulous than others. This point relates specifically to consumer tech products – often, the sheer quantity of retailers selling laptops and gadgets, combined with the virtually indistinguishable nature of many laptops and tablets, can make for an extremely confusing shopping experience. Add to this the fact that retailers often assign different identifiers to the same product, making it even more difficult to compare the same product across multiple retailers, and the scale of the issue becomes apparent. 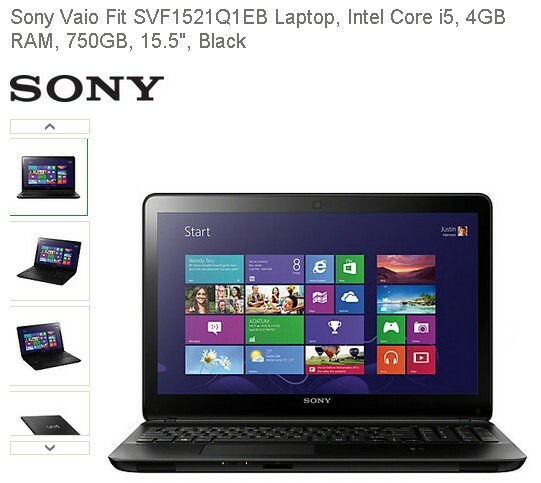 The same Sony Vaio laptop as listed by two different retailers. Many of the features listed are the same, but the order is different and some are different. My advice is to cross check using the product’s official manufacturer number, as this is the most commonly adopted identifier. It sounds obvious, but a brand new product, still in sealed packaging and still under warranty, will command a higher price than a second-hand or refurbished model. That being said, online shopping services like Google Shopping will often display second-hand and refurbished products alongside brand new ones, making them look like incredible bargains. 7. Are you properly covered? Most new products are supplied with a warranty or guarantee, particularly tech products, whereas used or refurbished products aren’t normally protected by an equivalent warranty period. If you’re going to buy a refurbished or second-hand item, make sure you get a decent warranty, as the older the product, the more likely it is that things will go wrong. Amazon isn’t a pitfall in itself, but there are certainly plenty of potential issues with the Amazon purchasing experience that can lead to customers getting a bit of a rum deal. For a start, products can go in and out of stock very quickly at Amazon, particularly if they are high demand items or ‘lightning deals’; you can’t always rely on Amazon to have a product, even if the product page claims it is in stock. Lightning deals will often sell out before customers reach the check out page, leaving an awful lot of people angry and frustrated. Secondly, the one-click ordering system can be dangerous, particularly if you’re not at the top of your game, are new to the Amazon experience or are feeling a little ‘under the weather’ at 1am on a Sunday morning… ahem. The ‘one-click’ purchase button looks remarkably similar to the ‘add to basket’ button, don’t you think? What’s more, if you do accidentally purchase an item using one-click, you’ll need to act pretty sharpish if you want to cancel it. You have 30 minutes to cancel an order once it’s been placed, which will require you to go through Amazon’s six stage order cancellation process. Starting to sound a little more convenient for Amazon than it does for the customer, wouldn’t you agree? Thirdly, it can often be difficult to tell on Amazon whether an item is sold by Amazon itself or a third-party seller. This product page looks almost completely identical to a listing of a product that is sold by Amazon. In fact, this is supplied by a third party seller. If the item you purchase is fulfilled by a third-party seller, always be sure to check their customer approval ratings and the postage charges first. This goes for buying items from the Amazon Marketplace too. Third-party sellers will often have higher postage charges than Amazon, so what seems like a good deal at first can actually end up being more expensive in the long run. Similar to Amazon, that other behemoth of online shopping, eBay, comes with its own unique drawbacks that can easily catch customers out. Firstly, bear in mind that if you’re purchasing from an individual seller (as opposed to a business, be they a purely eBay business or a retailer with an eBay portal) eBay does not require them to have a returns policy. Therefore, if for some reason your item doesn’t arrive or is not what you expected, it’s essentially your word against theirs. If the worst does happen and you have an issue with your item, the returns and complaints procedure can be long and drawn out, involving bringing a case before the customer service team, providing evidence and waiting for a decision – all of which kind of takes the convenience out of online shopping. This is particularly true if a seller turns out to be less than kosher. Unfortunately, this can happen, and when it does it can take months to get a refund, especially if you have to wait for PayPal to arbitrate the dispute. When it goes to plan, eBay is an excellent service, however it is worth bearing in mind that all it does is facilitate individuals or businesses to sell to consumers, and does not take a great deal of responsibility itself when a transaction goes badly. Can they deliver it to you for the next business day? Are delivery timescales mentioned at all? Can you actually buy online? Some sites won’t let you and direct you to submit a quote request instead. Does the retailer have any ratings? If so, are they independent? Feedback from others who have shopped with them could be invaluable. Finally, remember the old adage – if it seems too good to be true, it probably is. A healthy dose of pessimism could prevent you making costly shopping mistakes.